Celtic Rock features the finest Irish sounds. Combining elements of Rock Music, Traditional Irish Pub Songs, as well as Folk and Pop Songs, all influenced by the exciting country of Ireland! Ireland - the small country off the Western coast of Europe which has succeeded in producing some of the most popular and acclaimed music of recent decades! 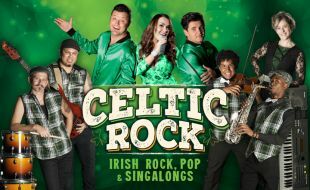 Celtic Rock features music by U2, Chris De Burgh, Van Morrison, The Commitments, The Cranberries, The Corrs, Riverdance and many more.